The Upper Darby Arts and Education Foundation was created in 1998 to “enrich the educational experience of each child in the District.” The Foundation’s programs include the K-2 Literacy Initiative, Schoener Musicman Camp, Robotics Team, Advanced Placement and Engineering Programs, as well as service opportunities. As a nonprofit 501(c)(3) organization, Upper Darby Arts and Education Foundation receives funding through grants, but also heavily relies on the dedication of its alumni network to foster their mission. In early February, our team for B:Social met with the Foundation’s Executive Director, Jennifer Shoener, to learn more about the organization. We gained knowledge about the Foundation’s “why,” or their mission to augment arts and music education. 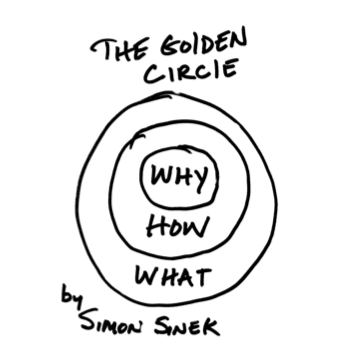 We employed the use of Simon Sinek’s Golden Circle by starting with the “why,” and then working our way through the rest of the puzzle. This semester, our team will focus on the Foundation’s “how.” They know their mission, they know what they’re doing, and they know why they’re doing it. But, does their community know? Do their stakeholders feel connected to the mission and the programming? How will we use social media to empower the alumni network to voice their experiences and contribute to the perpetuation of the mission? These questions perused our minds as we attended the 4th annual Sweet Night Out fundraising event. Many of those in attendance were alumni of schools in Upper Darby, Pennsylvania. As a group with a keen interest in the organization, the alumni make up a large portion of the Foundation’s stakeholders. Our main goal is to facilitate engagement within this stakeholder group in order to improve the organization’s exposure, and to showcase the “success stories” of students who have graduated. 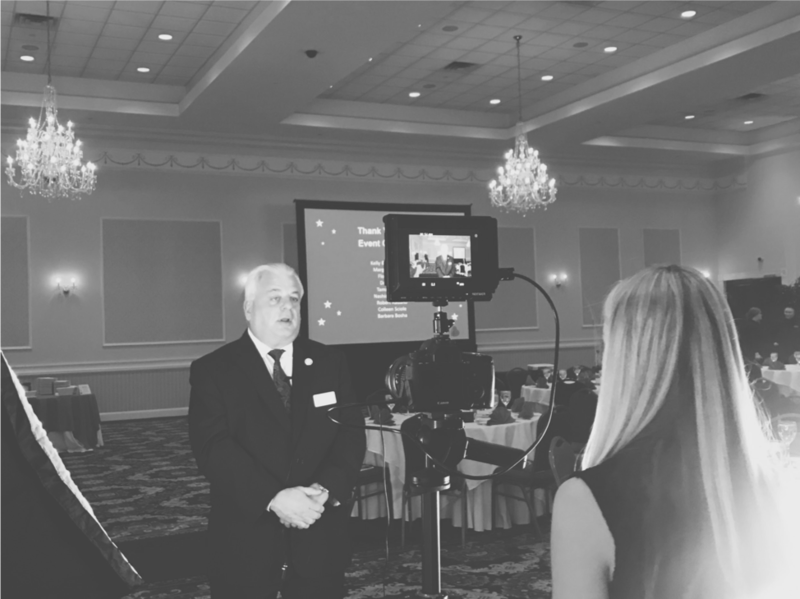 During the Sweet Night Out event, we captured footage to use in the production of promotional videos, and conducted interviews with alumni and community members. These interviews provided a platform for alumni to share their stories and thank the organization for its impact on their lives. These stories also invoked emotion, and will be shared on media platforms to engage followers and those interested in the organization. When we initially spoke with Jennifer, she explained that each alumnus has their own background and a story to share; it’s hard to predict what they might say because their experiences vary. Ultimately, the diversity of these experiences with Upper Darby will enable us to produce a genuine story, and allow those participating in media to be involved. In order to foster community within the alumni network, media must be a key component. On social media platforms such as Facebook, Twitter, and Instagram, hashtags connect people through hyperlinks to complications of relating posts. As a team, we created the hashtag #EnrichEducation to use with all of our social media deliverables. We will encourage the members of the Facebook community to use the hashtag as well, and through this we hope to create a cohesive digital footprint. In closing, we cannot emphasize enough the importance of stakeholders in nonprofit organizations. Upper Darby Arts and Education Foundation has an existing strong network of alumni, which can be built upon and utilized productively. In addition, “Charities, co-operatives and social enterprises often involve their stakeholders to a greater extent than many private businesses. This can often be a great source of strength to the organization” (The National Council for Voluntary Organizations). In this case, media outlets can be used to portray the stories of those who have been the most influenced by the Upper Darby Arts and Education Foundation. By telling their stories, we not only showcase the most important aspects of the company, but also give others the opportunity to easily access what the organization values and how they have impacted, and continue to impact, their community. The Beautiful Social Research Collaborative stands for the respect and dignity of all individuals regardless of their religion, citizenship, or immigration status. We have the privilege of working with many clients who represent members of our community who will be affected by President Trump’s Executive Order against immigrants. As a part of a Jesuit university whose mission includes “striving to be an inclusive and diverse community that educates and cares for the whole person,” we have the responsibility to speak out. We cannot stay silent in the face of blatant injustice, discrimination, and cruelty. We reaffirm our commitment to positive social change by helping our clients make their voices heard through digital media and the power of storytelling. We are dedicated to maintaining the relationships we have formed with members of our community; advocating for all students, faculty, and staff regardless of their faith traditions; and standing in solidarity with all individuals who may be affected. A PDF of the statement can be viewed and downloaded below. B- Social: Be a Spring 2017 Client! Are you a nonprofit organization interested in working with a team of young, driven Communications majors? Are you interested in receiving training, consulting, research and/or video production free of charge? Are you willing to explore how digital media platforms can help spread the mission of your organization in an attempt to bring about social good? The Beautiful Research Collaborative is looking for two more clients to work with for the Fall 2016 semester. These projects in new media will run the length of a college semester (January - May) and your nonprofit organization will be assigned a team of dedicated, passionate students to work on your project. If you are interested in applying or learning more, please email beautifulsocial@gmail.com. You can learn more about our past clients here and our work here.